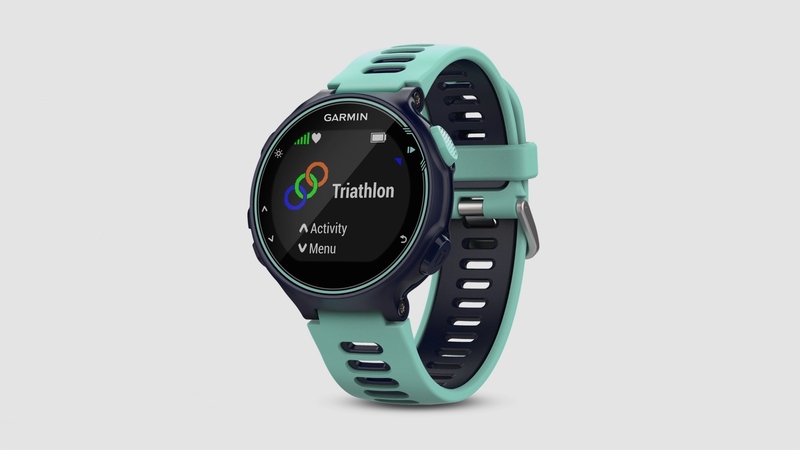 Garmin has just dropped another new GPS watch, the Forerunner 735XT, an all-star sports watch for triathlon and ironman fanatics. The watch is aimed at runners, swimmers and cyclists, and drops in next to the two-year-old Forerunner 920XT, which stays on sale. Like the 920XT, the new 735XT offers in-depth run analytics including VO2 max, cadence and race predictors, advanced swimming stats including stroke detection for pool and open water. What's more, it's compatible with the company's Vector cycling sensors for added data. The 735XT comes in the new form factor enjoyed by all new Forerunners, and is visually identical to the flagship running watch the Forerunner 630. It's not just running, cycling and swimming that's catered for. The 735XT also supports hiking, XC skiing, strength training, paddle sports, and uses Connect IQ to add niche activities designed by third party developers. So the Forerunner 735XT is now the best Garmin watch to buy if you're a multisport enthusiast, right? Well, there is one downside. For some reason the battery life falls far short of the 920XT. The Forerunner 735XT boasts 24 hours of UltraTrac (the low power GPS mode for walking) with 14 hours of standard GPS with optical HR. It will last 11 days just as a watch. While those are great numbers, the older 920XT will last 24 hours in normal GPS mode and 40 hours in low power UltraTrac. That's a huge difference. So essentially you'll need to pick between optical HR and double battery life, given that both devices are set to cost $449. The Garmin Forerunner 735XT is available now and we will be putting it through its paces in the coming weeks.